It was part of my PhD. Initially I was examining capital flows in Europe from conventional perspectives and critiquing those approaches. This included a focus on unit labour costs, fiscal imbalances, and so on. I found there was already a quite large body of existing research that critically examined those accounts. That led me to consider more finanical-based explanations of capital flows. Having examined the data I felt that the emphasis on banks was unwarranted. Upon further investigation I became convinced that institutional investors are the driving force in capital markets in general, and debt-based capital flows in Europe in particular. The most challenging part of the research was finding the data. The paper relies on a variety of sources, many of which are pieced together by sifting through consultancy and industry reports. The most surprising thing about the paper was that the centrality of institutional investors in European debt flows had not been established previously. As the article is being published almost 10 years have passed since the crisis broke. A lot has been written on capital flows in Europe and much of existing research has built on or is some variant of previous work. Of course my work doesn’t reinvent the wheel, but I was surprised that nobody had taken my approach before. Be open minded. Don´t get too wedded to any particular theoretical framework whether you´re part of the consensus or a dissenting voice. Look at the data and see if a certain analytical framework is appropriate. Don´t try to shoehorn a theoretical approach in a context where it is not empircally supported. It can be difficult to realise that you were wrong about something. Rather than trying to defend your position to the hilt, see flaws in your argument as opportunities to learn something new. State your argument as clearly as possible. That sounds simple but all too often in social science research arguments are couched in unnecessary complexity. Economics rightly gets a hard time for mathematical rigour over substance, but the problem generalises across the social sciences. Rather than using complex mathematical constructions, research in other fields too often clouds its arguements in obscurantist language. So if you are reading an article and find it difficult to unpack, it´s probably not your fault. Stay up-to-date with the latest research from CCH and sign up for email alerts today through the homepage! Political economists rarely look at real estate markets. Our research group at the KU Leuven, named “The Real Estate/Financial Complex” and funded by the European Research Council, studies the relationships between finance, real estate and the state in a range of countries, including France and Germany, the two typical examples of Continental European capitalist countries. In this paper, we look into the commercial investment markets of these countries. Fieldwork and data collection have been conducted during two extended research stays in Frankfurt am Main and Paris. Our work is deeply informed by our empirical research and interactions with real estate and finance professionals. The challenging aspect of our work was to get wider access to real estate and finance professionals in Frankfurt am Main and Paris, two global financial centres, and interviewing these specialists, often in prime real estate locations. Commercial real estate investors have their own account of processes of internationalization in their daily work experiences, which are central to our article. Our results show how the French state perceived the arrival of foreign investors in the 1990s as a potential threat to the French property companies and implemented a new tax regime that allowed these companies to launch publicly listed real estate vehicles known as a Société d’Investissement Immobilier Cotée (SIIC). As such, the French property sector could attract foreign capital and increase liquidity, while enjoying new tax advantages. The rise of the SIICs was a major driver of the French investment boom of 2003–2007. In 2007, another major reform followed: the new tax regime of Organisme de Placement en Immobilier (OPCI) would gradually replace the old one of SCPI and transform French investment funds into ‘hybrids’ that could invest both in listed and non-listed real estate, with investments from not only institutional investors but also the general public. Due to the shocks of German reunification, the momentum for internationalization of commercial real estate arrived relatively late. Major reforms in the German property sector were not implemented in the 2000s. Between 2003 and 2007, American private equity and hedge funds entered the market and invested unprecedented amounts of capital in the German property sector. However, the traditionally dominant non-listed investment funds in Germany also responded. The German Spezialfonds were able to invest heavily because they collected capital from pension funds and insurance companies. In the aftermath of the GFC, the German state has introduced a new Investment Code to make the non-listed real estate sector stronger. Contrary to France, the introduction of the G-REIT in 2007 has so far made little difference; the German preference for non-listed real estate remains strong. We hope that our work inspires other researchers to conduct similar projects. We recommend researchers working in related fields to participate in real estate fairs and congresses to meet and encounter potential interviewees. The Journal of Developing Societies is currently seeking manuscripts for an upcoming special issue on A Comparative Analysis of Health Care in a Globalizing World: Recent Trends in Developing Nations. Click here to view the full submission guidelines. The Journal of Developing Societies is a refereed international journal on development and social change not only in ‘developing’ countries but also the ‘developed’ societies of the world. It provides an interdisciplinary forum for the publication of theoretical perspectives, research findings, case studies, policy analyses and normative critiques on the issues, problems and policies of both mainstream and alternative approaches to development. Journal of Management invites scholars to submit research for an upcoming Special Issue entitled “Global Work in the Multinational Enterprise: New Avenues and Challenges for Strategically Managing Human Capital Across Borders.” The issue will be guest edited by David Allen of Rutgers University, Yih-teen Lee of IESE Business School at University of Navarra and Sebastian Reiche of IESE Business School at University of Navarra. Journal of Management particularly welcome studies that apply wider theoretical lenses and multilevel approaches in order to better capture the complexity of global work in multinational enterprises (MNE). Specifically, this special issue seeks to promote and shape the future direction for research addressing questions at the intersection of the following themes: (1) global work in MNEs – what structures, systems, and policies and practices do MNEs need to facilitate global work? (2) strategic HRM in MNEs – how does the system design and implementation fit an MNE’s global strategy?, and (3) global talent management in MNEs – how do we define, conceptualize, and identify global talent, and how do we manage it within multiple MNE contexts? Original empirical research, theory development, and meta-analytic reviews are all suitable for potential inclusion in the special issue. What are the challenges for HRM given the growing fragmentation of forms of global work (e.g., corporate expatriation, self-initiated expatriation, business travel, virtual collaboration)? How does global work affect the debate between global standardization vs. local adaptation of HR policies and practices, e.g. to which extent is a global compensation system needed, etc. What are the key competencies for individuals to perform global work effectively? What are the corresponding HR practices to identify and develop them? How to deal with the geographic dispersion (extent of coordination across borders needed) and multiculturalism/multilinguism (extent of coordination among people from diverse cultures and native languages needed) of global work? How do institutional, cultural, and other contextual influences affect the development, implementation, and effectiveness of high performance work systems and practices in MNEs? How should human resources be managed on a global scale (when to move jobs; where to move people; where to leverage local talent versus sourcing talent globally)? How does centralization/localization strategy affect performance? 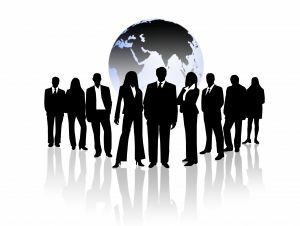 How does global staffing strategy affect performance? What is the best staffing strategy for starting new multinational facilities (Taking over existing vs. turning around ongoing operations)? To what extent do MNEs evaluate global talent issues (e.g., integrating national cultures; relative competencies across locations; availability of talent) in making cross-border acquisition decisions? To what extent do these factors affect cross-border acquisition success? To what extent does the make-up of the top management team (in terms of national origin and experiences) affect MNE success and cross-border acquisition strategies/decisions? What are strategic issues in forming and managing multinational teams? Please submit papers through the journal’s online submission system. To do so, please click here, create your user account (if you have not done so already), and for “Manuscript Type” choose the corresponding Special Issue. You will be able to submit your paper for this Special Issue between the 1st and the 30th of September 2016. For more information, including submission timeline and contact information, click here. Want to know about all the latest news and research from Journal of Management? Click here to sign up for e-alerts! Have some time to read before the new semester starts? Akos Rona-Tas, Alya Guseva : Plastic Money: Constructing Markets for Credit Cards in Eight Postcommunist Countries. Stanford, CA: Stanford University Press, 2014. 318 pp. $45.00, cloth. Read the review by Christopher Yenkey from the University of Chicago, available now in the OnlineFirst section of Administrative Science Quarterly. 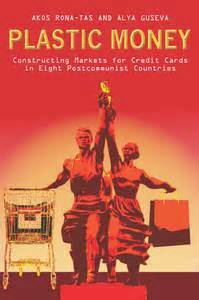 This fascinating study of the creation of credit card markets in eight European and Asian postcommunist countries is the latest and most expansive work on the subject by Rona-Tas and Guseva. These authors have been studying the institutional underpinnings of fledgling credit card markets in the Eastern Bloc for almost as long as these countries have been struggling to transition away from regimes of central planning, and their knowledge of card markets in particular and market transition in general is extensive. Plastic Money follows Guseva’s 2008 Russia-focused manuscript, Into the Red, by expanding the empirical scope of the research to a comparison of Russia, Ukraine, Bulgaria, Hungary, Poland, the Czech Republic, and for the first time two Asian countries, Vietnam and China. The expanded empirical breadth of the book is matched with a new set of substantive questions about how each country overcame a common set of frictions impeding the development of card markets and how variation in local solutions demonstrates the limits of the globalization-as-homogenization perspective. You can read the rest of the review from Administrative Science Quarterly by clicking here. Want to know about all the latest research and reviews from Administrative Science Quarterly? Click here to sign up for e-alerts! Leaders and professionals are agreed that the development of a global mindset is imperative to success in coping with the challenges and taking advantage of the opportunities associated with the growing interconnectedness of the world’s economies. This paper uses an evidence-based approach to identify the requisites for nurturing a global mindset and discusses the training programs that can facilitate this development. To respond effectively to changes in the calculus of global competition—the rise of emerging market multinationals and the crisis of confidence in industrialized countries—leaders and organizations need to develop a global mind-set. This article identifies four requisites to the development of a global mind-set and three ways for developing this orientation. The implications for leadership and organizations are then discussed. “Requisites to and Ways of Developing a Global Mind-Set: Implications for Research on Leadership and Organizations” can be read for free by clicking here. 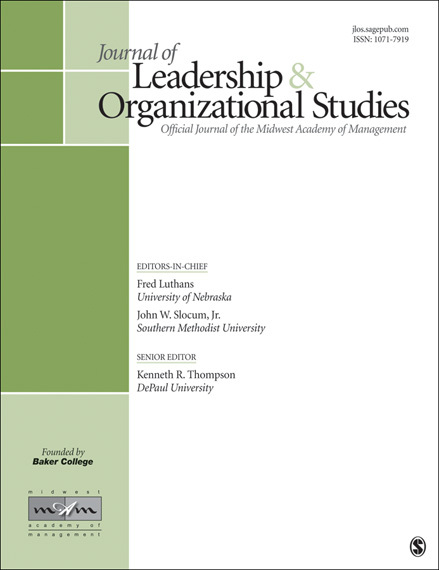 Click here to sign up for e-alerts and get all the latest updates from Journal of Leadership and Organizational Studies sent directly to your inbox! Rosalie L. Tung, the Ming & Stella Wong Professor of International Business at Simon Fraser University, is the 2014-2015 President-Elect of the Academy of International Business. Previously, she served as President of the Academy of Management (2003-2004). She is a Fellow of the Royal Society of Canada, the Academy of Management, the Academy of International Business, and the British Academy of Management. She has published many books and articles on international human resource management, international business negotiations, and comparative management. She serves on the editorial board of many academic journals.